A visual model of this design concept will be part of the curated exhibition at the Klokgebouw (hall 3) from 20-28 October. More info: click here. DUDE is not only a machine. It’s a business model based on research how users, owners and cleaners can work more efficiently and sustainable in the whole chain. From coffee bean until cleaning the machine. The result is a service and a machine where all components where designed based on their needs over their entire life-cycle. The result is not only more sustainable, your coffee does taste better! 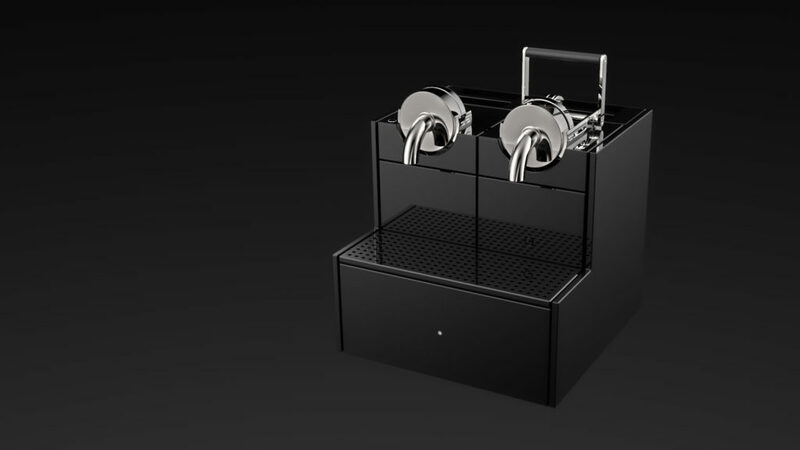 Originally designed as the perfect solution for conscious hotels and travellers: an espresso machine that is designed for in-room maintenance and an improved user experience. Which means: clean, hassle free and a perfect cup of coffee. 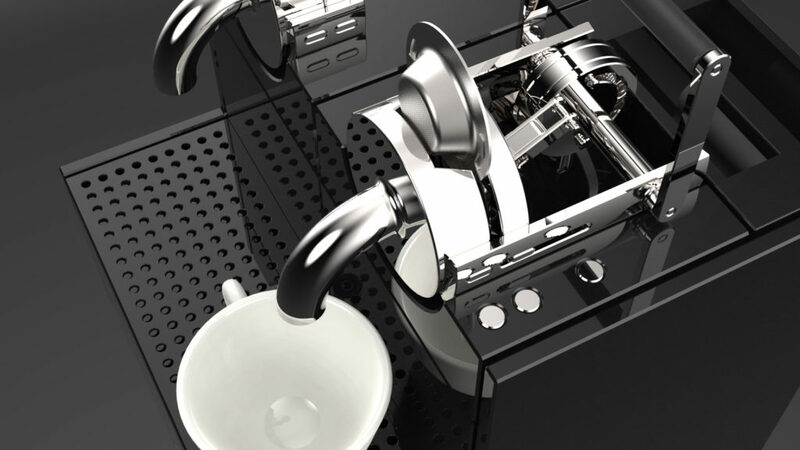 The machine features a stainless steel reusable pod system. So local coffee stores roast, grind and pack coffee freshly. 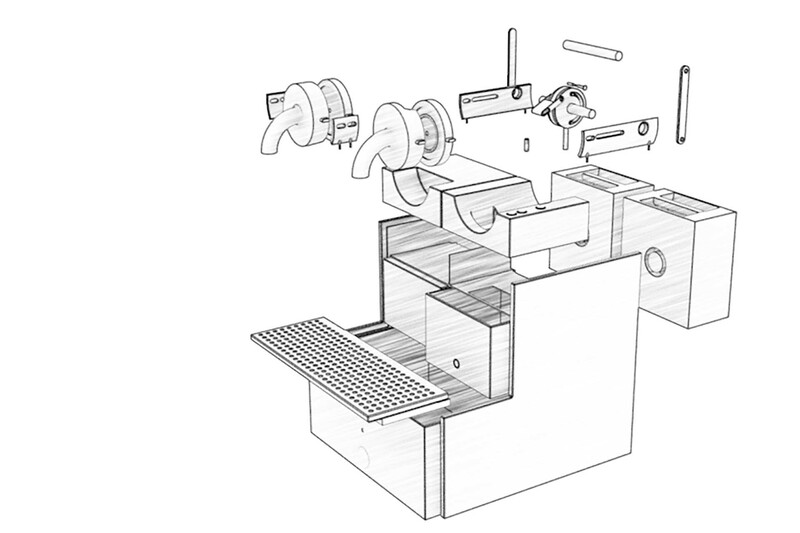 The pods are stored in special airtight container, which can be stored in the drawer of the machine. The hotel guests enjoy high quality and more sustainable coffee, while hotel owners don’t have to worry about buying and maintaining machines. In the circular economy approach, the supplier delivers a service and will keep responsibility over machines. 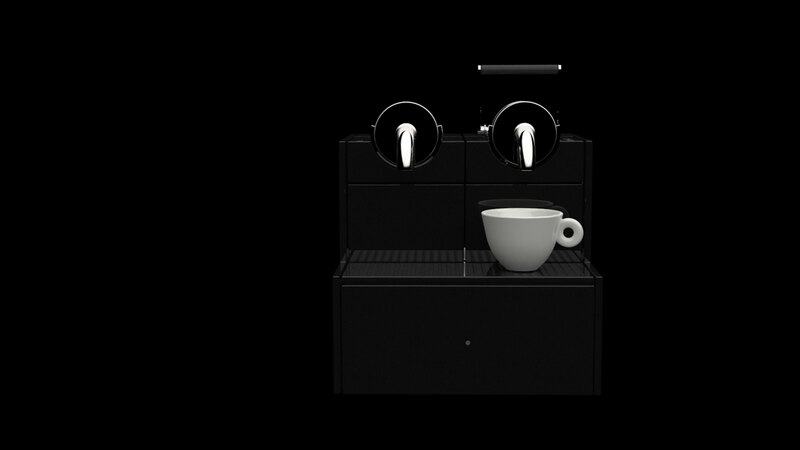 Owners or users don’t buy a machine – they only pay for their lovely espresso.